Brin Maxwell once lived the ultimate rock-n-roll fantasy as the wife of the frontman for Hell’s Fury. It all ended in a flash—literally—with a lightning bolt that took Max’s life and left hers in suspended animation. Two years later she’s ready to move on, but there’s a stumbling block: her sanity. Max’s ghost has decided to haunt her, and he’s got a bad habit of showing up at the most inconvenient moments. Like when she’s about to plant a long wet one on event planner David Lyle, the man she hopes will resurrect her love life. David is real, solid, and makes her heart do the tango. He’s also curiously inept at his job—yet he has certain other talents that leave her wondering just what he’s hiding in his shadowy past. Then there are the death threats. As they escalate from notes slipped under her door to full-scale, Kodak-moment terror, Brin realizes Max’s return is no coincidence. And that the only one she can turn to is David. Another Time Around has a little bit of everything. It’s got the used-to-have-it-together heroine who, thanks to her husband’s death, has temporarily lost it. It’s got the hunky could-be Mr. Right #2. It’s got two quirky secondary characters you can’t help but love and laugh at. It’s got a ghost. It’s got an unknown bad guy. 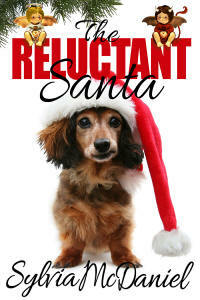 It’s got mystery, suspense, love, desire, and a really big dog. Like I said, it has a bit over everything. The relationship between Brin Maxwell and her dead husband Max was interesting and well done. I loved how he intruded at all the wrong times and how he struggled with between encouraging Brin to get on with her life and letting go. It felt honest. Brin experiences just enough angst. She’s done the guilt thing and now she’s ready to take back her life. I like that in a character. The chemistry between Brin and event planner David Lyle sizzles. She wants him. He wants her. I wanted them to... And yet... well, I don’t want to ruin it for you. Sometimes less really is more. Catherine Wade is a tease, and I love her for it. Hank and Magda are both wonderful over-the-top characters whose depth of loyalty keeps them from being caricatures. Don’t worry that Another Time Around stalls for a few pages at the beginning. It gains momentum. Once the plot hits full speed, I dare you to put it down. I thought I knew who the bad guy was twice and was wrong both times. What fun. I’ll be looking for other books by Catherine Wade.